On behalf of our community, I welcome you to the Padua College website. Padua College is the only school in Australia under the care of the Order of Friars Minor. Inspired by the teachings of St Francis (1182-1226), the Franciscan Friars established Padua College as a school to cater for boys from Year 5 to Year 12. Over 60 years on, the College has grown to 1300 students and while there have clearly been educational changes over this time, we still hold our Franciscan heritage very close to our heart. The College offers a holistic education including an engaging religious formation and pastoral care program, a comprehensive curriculum, varied co-curricular opportunities, and a challenging, developmental outdoor education program. Padua is a community of affirmation and acceptance, where students are encouraged to strive to their personal level of excellence to become young men who make a difference in their world. Our staff are highly skilled, connected to the community and dedicated to the needs of students and their families. 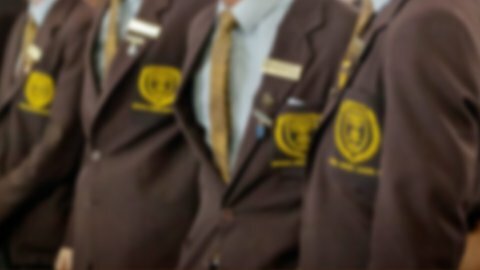 They have a deep commitment to offer an education that goes beyond the classroom and shapes our boys to be good men who are committed to making the world a better place. Please feel free to contact the College for further information. You would also be very welcome to join us for Open Day or a College Tour so that you too can experience first-hand the great things about our community. We are explorers, achievers, leaders. We are … Padua.